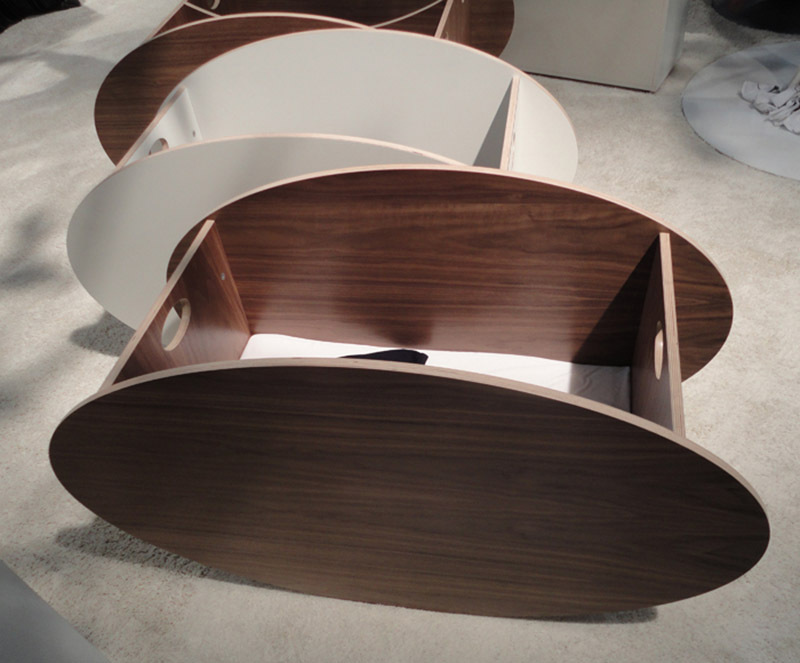 If It's Hip, It's Here (Archives): The Modern SO-RO Cradle With A Forward Rocking Motion For Your Baby - Or Two. 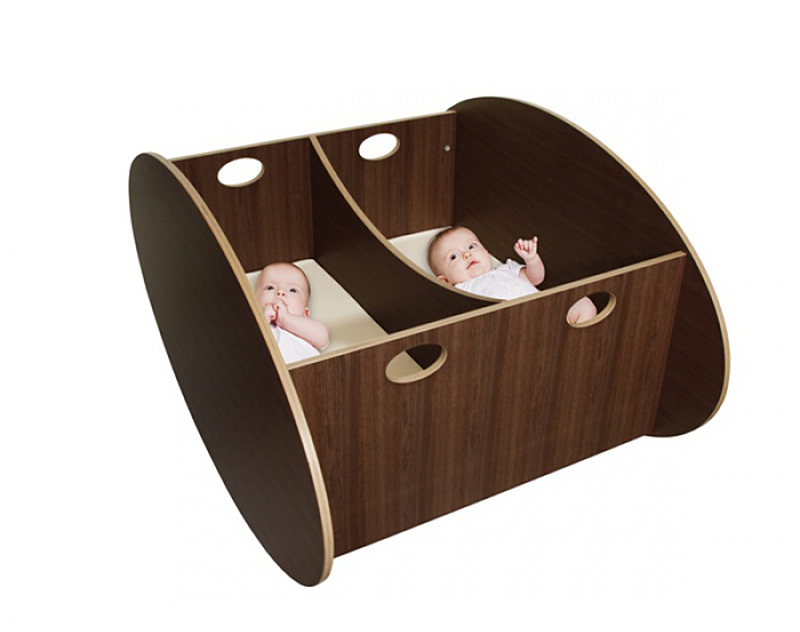 The Modern SO-RO Cradle With A Forward Rocking Motion For Your Baby - Or Two. 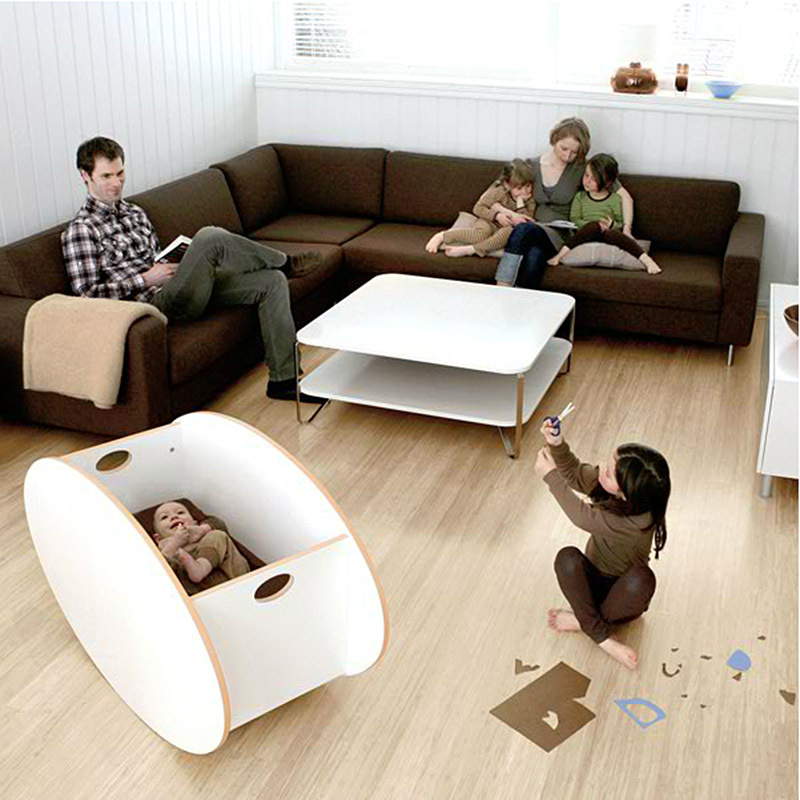 The contemporary so-ro cradle (the name so-ro comes from Norwegian lullabies) was designed by occupational therapist Ane Lillian Tveit and features a forward rocking motion, unlike most of today's side-to-side rocking cradles. According to research into the brain's perception of sensory input, forward movement is the most comfortable and soothing type of motion for a baby. Think of rocking on a swing. The brain perceives this rhythmic forward swinging as a linear, soothing motion. 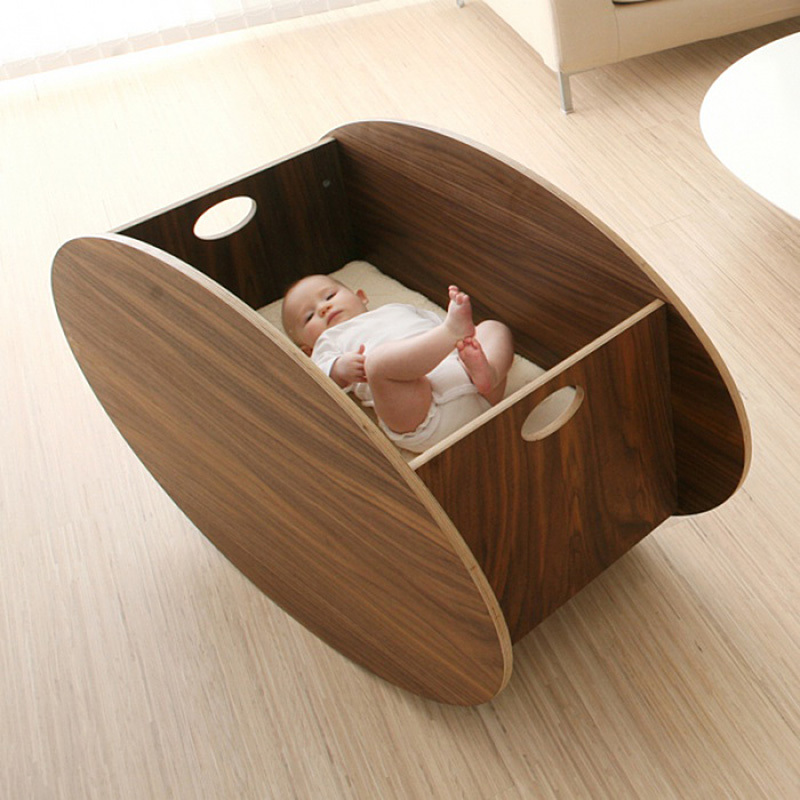 This multiple-awarded winning cradle has even garnered a celebrity following from famous parents like Ben Affleck, Jennifer Garner, Jason Bateman and NASCAR driver Burney Lamar. 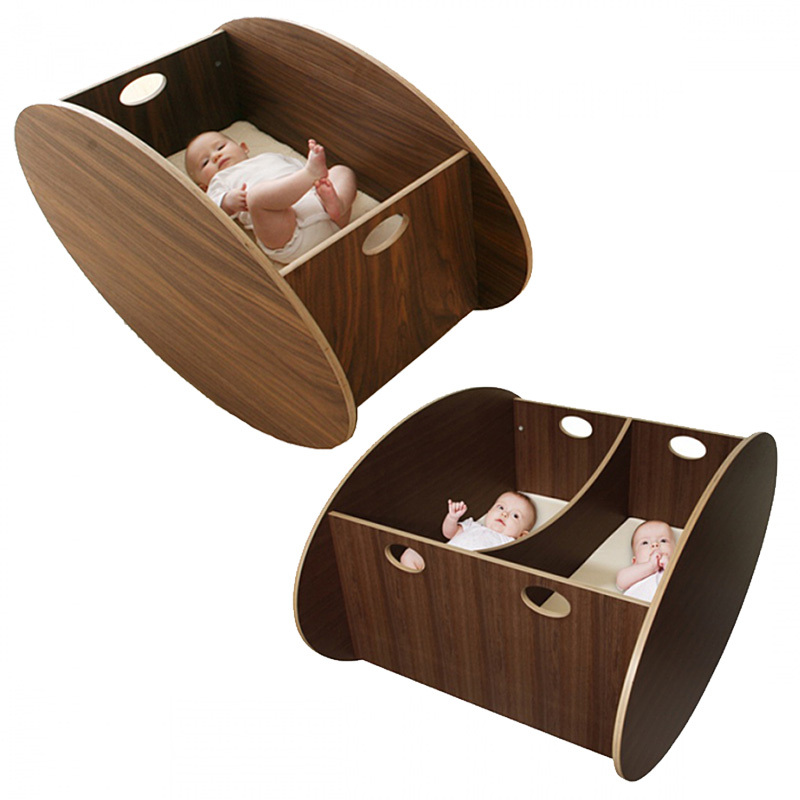 The so-ro cradle is available as a single cradle or a twin cradle with a core of the made of plywood Baltic birch with American walnut or laminated white. The value of the so-ro is increased by virtue of it being easy to assemble, disassemble and store. music in the above video is the traditional Norwegian folktune named "so-ro," hence the name of the company. The pianist is Bugge Wesseltoft. 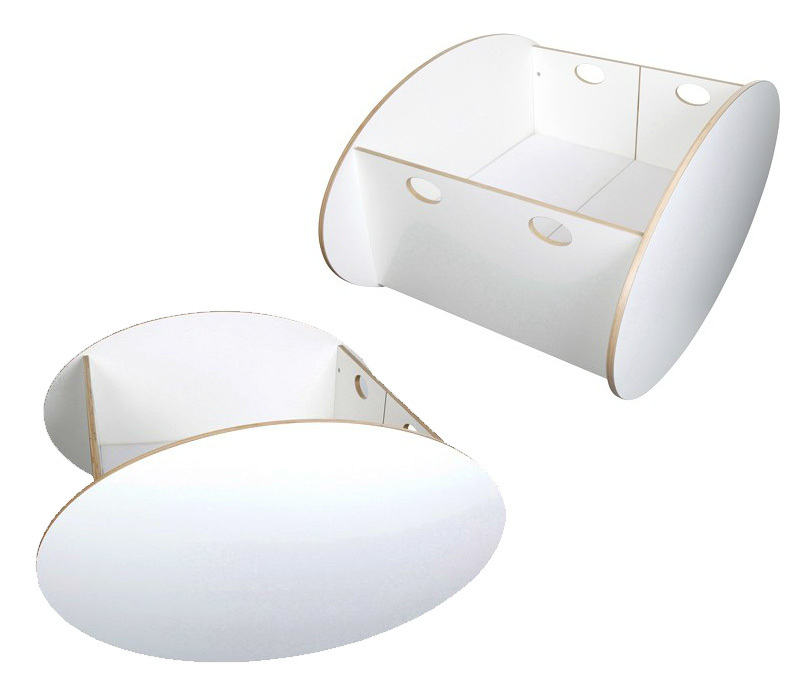 The so-ro crib's mattress is 1 inch (2.5 cm), the American ASTM standard for infant mattress sizes. This eliminates the indentation on the mattress usually caused by the weight of the infant's head. It is recommended that the infant sleeps without a pillow. One correction, about the video : Bugge Wesseltoft is the name of the pianist; the title of the traditional song is "so ro", hence the name of the company. Thanks teapod, I'll make the appropriate amendments!